Katherine Swynford – History… the interesting bits! Philippa of Lancaster was born at Leicester on 31st March 1360. She was the eldest daughter of John of Gaunt, Duke of Lancaster and 4th son of Edward III, and his first wife Blanche of Lancaster, great-great-granddaughter of Henry III. her father was one of the richest men in the country – and one of the most powerful. Her life as a child would have been one of luxury and privilege, with a glorious dynastic marriage awaiting her in the future. Philippa was raised alongside her younger sister, Elizabeth, who was born in 1363, and her baby brother, Henry of Bolingbroke, born in 1367. The children shared a household for some of their childhood and were given the best education available. The reformer John Wycliffe, 1st translator of the Bible into English, was among their tutors. The children lost their mother when Blanche died at Tutbury on 12th September, 1368, more likely from the complications of childbirth than from the plague, as a daughter, Isabella, who did not survive, was born around the same time. The children’s father was with Blanche when she died but departed on campaign to France soon after; it is doubtful the children’s care was interrupted. The Lancaster household was well-organised and by 1376 the girls had been appointed a new governess; Katherine Swynford, who was by this time also mistress to their father, John of Gaunt. As with most high-born women of the time, Philippa’s marriage was in the hands of her father. John of Gaunt planned for her to contract a dynastic match which would benefit and complement his own dynastic ambitions. 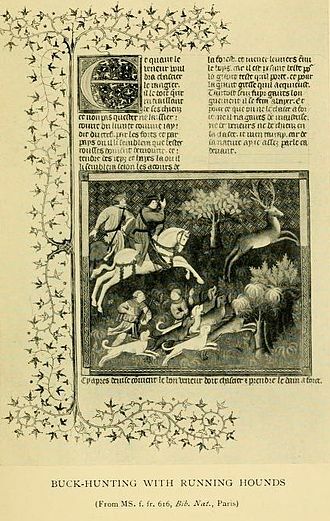 In 1374, Philippa was betrothed to Gaston, Count of Foix, but nothing came of it. In 1381/2 she was offered in marriage to Jean de Blois, claimant to the duchy of Brittany; and in 1383 her prospective husband was Count William of Ostrevant, the heir to Hainault, Holland and Zeeland. In 1385 and 25 years old Philippa was still unmarried. However, in the following year her father took her on his military expedition to Spain, hoping to claim the kingdom of Castile in right of his 2nd wife, Constance. 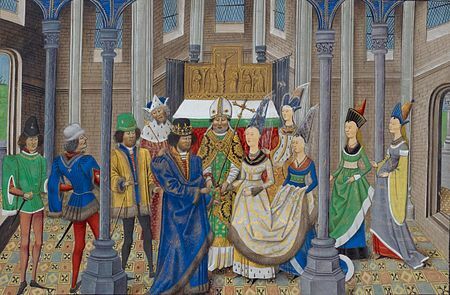 Philippa’s marriage to John – or Joao – I of Portugal was agreed as part of an alliance made between the 2 Johns at Ponte do Mouro in November 1386. Philippa was married to King John at Oporto on 2nd February 1387, before they had even received the required papal dispensation. The British Museum has a beautifully illuminated manuscript (above) which depicts the wedding, with John of Gaunt and his wife, Constance, looking on. Philippa was 26 – about 10 years older than the average age for a princess to marry. John was 3 years her senior and had been king for just short of 2 years. Philippa became known as ‘Dona Fillipa’ in Portugal and would be one of the country’s best-loved queens. Her natural disposition to austerity and piety was endearing to the Portuguese people. 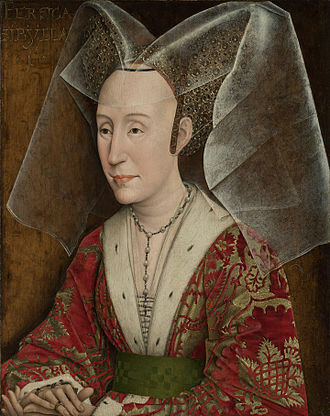 Philippa reformed the court and encouraged courtly games among her ladies. French poet Eustace Deschamps characterised her as the chief patron of the order of The Flower of England, casting her at the centre of the court and the May Day celebrations. A patron of literature, Philippa was sent a copy of John Gower’s poem “Confessio amantis“, which was translated into Portuguese by Robert Payn, an English canon of Lisbon Cathedral. 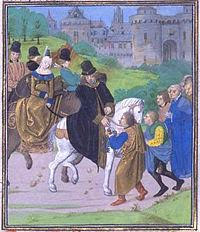 Philippa had been made a Lady of the Garter in 1378 and was instrumental in fostering links between England and Portugal, a practice helped by the mixture of English and Portuguese servants in her household. She was on good terms with both Richard II and his successor – her brother, Henry IV. 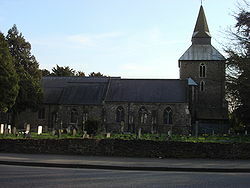 In 1399 she wrote to the Archbishop of Canterbury, Thomas Arundel, asking him to intervene with Henry on behalf of her friend, Bishop Henry Despenser of Norwich, who had angered the new king by defending Richard II at the time of Henry’s invasion of England and seizure of the throne. Philippa also had a hand in persuading Henry to arrange the marriage of her stepdaughter, Beatriz (John’s illegitimate daughter) to the earl of Arundel in 1405. Almost immediately after the wedding John returned to the war. In July 1387 Philippa miscarried their first child while visiting John at Curval, where he lay seriously ill. However, after what appears to have been a bumpy start, the couple seem well-matched. John had had 2 illegitimate children before his marriage, but was demonstrably faithful to Philippa after the wedding. 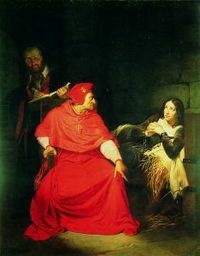 In fact when court gossip reached the queen that he had been unfaithful, John went to great lengths to convince Philippa of his innocence. He even went so far as to commemorate the event by having a room in the royal apartments at Sintra decorated with chattering magpies – he must have had a great sense of humour, and confidence in his relationship to be so bold. Philippa and John were to have a large family, which they brought up with great care. Of their 9 children, 5 sons and 1 daughter survived infancy and would later be known in Portugal as ‘the Illustrious Generation’. 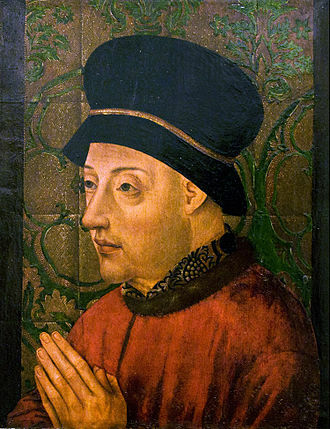 Their eldest surviving son, Edward, was born in 1391 and would succeed his father as King of Portugal in 1433. Peter, Duke of Coimbra, was born in 1392 and would act as regent for his nephew, Afonso V, following Edward’s death in 1438. Their most famous son was Prince Henry ‘the Navigator’, Duke of Viseu, who was renowned for financing and researching great explorations – though he never undertook expeditions himself. Their next youngest son was John, Duke of Beja and Constable of Portugal, who married Isabella, the daughter of Alfonso I, Duke of Braganza. 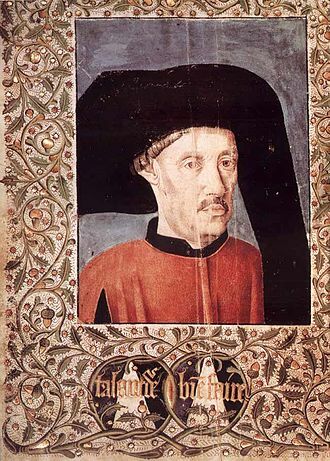 The baby of the family was Ferdinand, Grand Master of Aviz. He was born in 1402 and was later known as ‘the Saint Prince’ following his death as a prisoner of the Moors. Ferdinand had been held as a hostage for the return of Ceuta following the Disaster of Tangier, a siege led by his brother Henry. Ferdinand was held in increasingly severe confinement when it became apparent no ransom would be forthcoming, until he finally died in 1443. John and Philippa’s one daughter, Isabella, was born in 1397 and would go on to marry Philip III the Good, Duke of Burgundy; and become the mother of Charles the Bold, Duke of Burgundy. By 1415 Philippa’s oldest sons were itching to prove their martial prowess. Scorning their father’s offer to hold a magnificent tournament for them, they persuaded him to mount an attack on the port of Ceuta in North Africa. As they were about to set sail Philippa fell ill.
She had contracted plague and died at Odivelas, near Lisbon, on 18/19th July 1415. She was 55. On her deathbed she gave her 3 eldest sons, each, a jewel encrusted sword, in anticipation of their impending knighthoods, and a piece of the true cross. Giving them her blessing for the forthcoming military expedition she exhorted “them to preserve their faith and to fulfil the duties of their rank”¹. The expedition sailed just 5 days after her death and Ceuta fell after only 1 day of siege, becoming Portugal’s 1st African possession. Described as pious, charitable, affable and obedient to her husband, Portuguese historian Fernao Lopes, secretary to Philippa’s son, Fernando, held Philippa up as a model queen. Her piety was renowned; in later life she was said to regularly read the Book of Psalms. 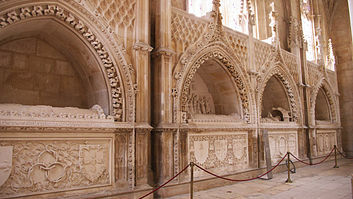 Queen Philippa was buried in the Dominican Priory at Batalha Abbey, which had been founded by her husband. King John arranged for a magnificent tomb to be built in the Capela do Fundador. Constructed between 1426 and 1434, it is topped by their effigies, clasping each others’ hands. 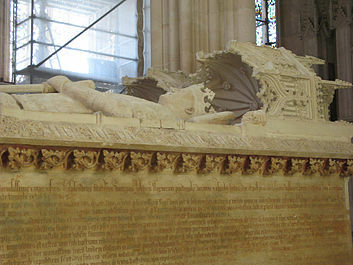 King John himself was laid beside her after his death in August 1433. 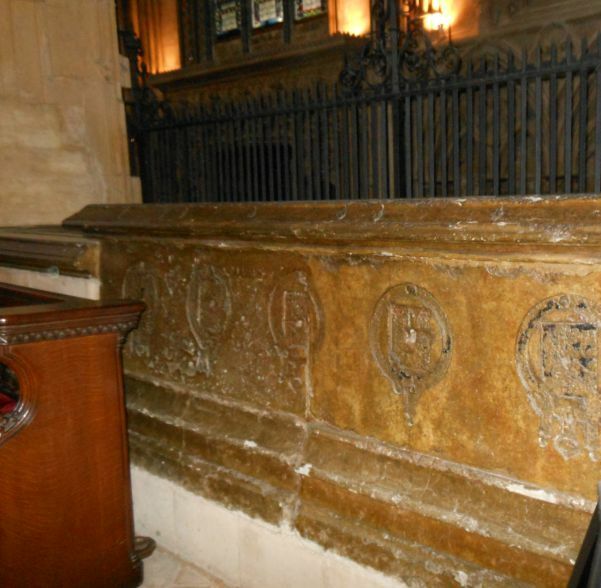 Their sons, Ferdinand, John, Henry and Peter, were laid to rest along the south side of the same chapel. Footnote: ¹ Edgar Prestage, The Portuguese pioneers. Sources: The Plantagenets, the Kings who Made England by Dan Jones; Brewer’s British Royalty by David Williamson; Britain’s Royal Families, the Complete Genealogy by Alison Weir; The Mammoth Book of British Kings and Queens by Mike Ashley; The Plantagenets, the Kings that made Britain by Derek Wilson; englishmonarchs.co.uk; oxforddnb.com; annvictoriaroberts.co.uk. 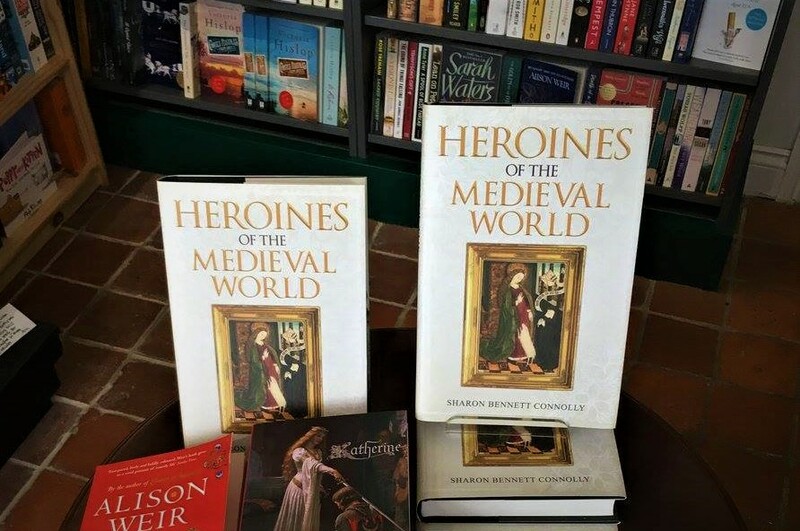 Tracing the fortunes of the women who had a significant role to play in the momentous events of 1066, Silk and the Sword: the Women of the Norman Conquest is available in hardback from Amazon UK, Amberley Publishing, Book Depository and Amazon US. Blanche of Lancaster is one of those ladies of history more famous because of her children and the antics of her husband. 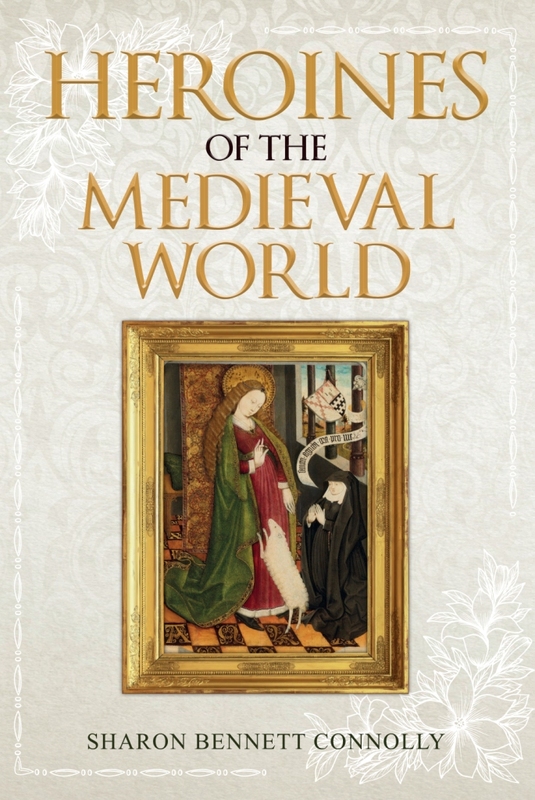 Blanche’s life was pitifully short, but her legacy would see the unravelling of peace in the fifteenth century, and the decades of civil war called the Wars of the Roses. Blanche of Lancaster was born around 25th March 1345, at Bolingbroke Castle in Lincolnshire. She was the 2nd and youngest daughter of illustrious parents; Henry of Grosmont, Duke of Lancaster and Isabella de Beaumont. Henry of Grosmont was the grandson of Edmund Crouchback and a great-grandson of Henry III. Isabella was the daughter of Henry, 1st Baron de Beaumont and Earl of Buchan by right of his wife, Alice Comyn. Blanche had only one sibling, her older sister, Matilda, who was married, 1st to Ralph de Stafford and later to William V, Duke of Bavaria, Count of Holland, Hainault and Zeeland. Blanche herself was betrothed to John de Segrave as a child, but this seems to have been set aside soon afterwards. By the late 1350s Blanche was a part of King Edward III’s plans to provide for his growing number of sons. As one of the country’s richest heiresses, Blanche was chosen as the bride for Edward’s 3rd surviving son, John of Gaunt. Blanche and John were 3rd cousins, being great-great-grandchildren of Henry III. 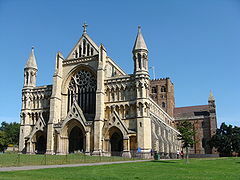 The couple was married on the 19th of May 1359 at Reading Abbey in Berkshire. Blanche had just turned 14 and John was 19 years old. In 1361 Blanche suffered a double tragedy; her father died of bubonic plague in Leicester in March and her mother succumbed to the same disease before the end of the year. 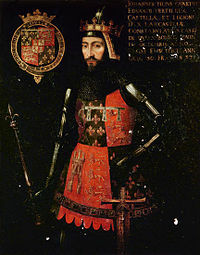 While her sister inherited the earldoms of Leicester and Lincoln, John of Gaunt inherited those of Derby and Lancaster by right of his wife; however, the title of Duke of Lancaster became extinct with Henry of Grosmont’s death. By April 1362 Blanche’s sister had also succumbed to the Black Death; there were some rumours of poison, but this seems unlikely. Maud had died childless and so Blanche inherited the remainder of her father’s estates. Blanche – and by extension John of Gaunt – now added the earldoms of Leicester and Lincoln to their vast holdings. 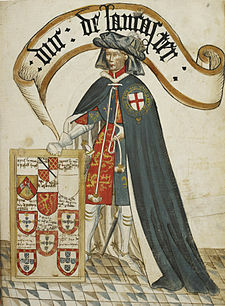 John was invested with the title of Duke of Lancaster and was now the most powerful magnate in England; holding more than 30 castles, his lands and possessions were second only to those of the king. Blanche herself was pregnant for most of her married life, giving birth to 7 children between 1360 and 1368. 3 sons, John, Edward and a 2nd John, and a daughter, Isabella, died young. Two daughters and a son did, however, survive into adulthood. The eldest daughter, Philippa, was born on 31st March 1360 and would marry King John I of Portugal. 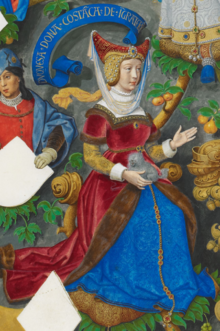 Philippa was the mother of 8 children, known as the ‘Illustrious Generation’ in Portugal, including Edward, King of Portugal, Prince Henry the Navigator and Ferdinand the Holy Prince. Philippa herself would die of plague in 1415. A 2nd daughter, Elizabeth, was born around 1363 at Burford, Shropshire. Although her 1st marriage to John Hastings, 3rd Earl of Pembroke, was annulled, her 2nd marriage, to John Holland, 1st Duke of Exeter, would end with his execution for treason in 1400; they had 5 children. Elizabeth would marry for a 3rd time to John Cornwall, 1st Baron Fanhope, with whom she had a daughter before she died in 1426. Blanche and John’s last surviving child, Henry of Bolingbroke, was born at Bolingbroke Castle in 1367, probably on 15th April. 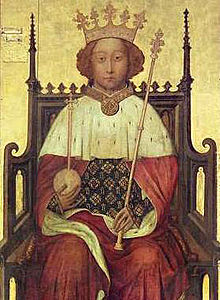 Having been exiled in the later years of the reign of his cousin, Richard II, Henry would return to England following the death of his father and confiscation of his inheritance by the king. 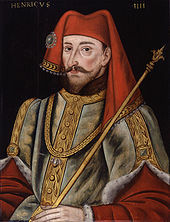 Richard was forced to abdicate and Henry succeeded to the throne as King Henry IV. 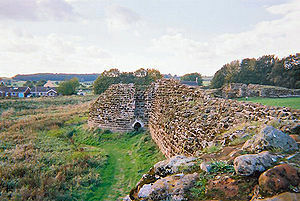 Bolingbroke Castle, Lincolnshire, where Blanche of Lancaster was born, and died. 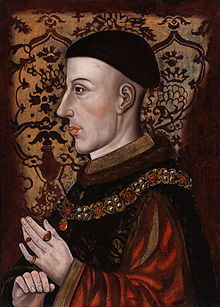 Henry’s 1st marriage, to Mary de Bohun, produced 7 children, including the future King Henry V; his 2nd marriage was to Joanna of Navarre, Duchess of Brittany. Henry IV died on 20th March 1413 and was buried at Canterbury Cathedral; Joanna would be buried beside him following her own death in 1437. By 1365 Blanche had taken Katherine Swynford into her household. Katherine was the wife of one of John of Gaunt’s Lincolnshire knights. Moreover, John was godfather to their daughter, Blanche, who was named after the Duchess. Young Blanche Swynford was lodged in the same chambers as the Duchess’s daughters, Philippa and Elizabeth and accorded the same luxuries as the princesses. Having lost her parents and sister to the Black Death it is not surprising that Blanche was fearful of the disease. In the summer of 1368 she is said to have moved her family away from the city, to Bolingbroke Castle to escape the pestilence. 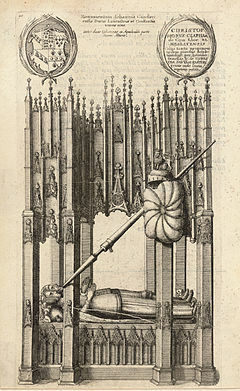 Blanche was buried in Old St Paul’s Cathedral, London; where John of Gaunt arranged for a splendid alabaster tomb and annual commemorations for the rest of his life. And despite 2 subsequent marriages, John of Gaunt would be interred next to Blanche following his own death in 1399. The tomb was lost when the cathedral was destroyed during the Great Fire of London in 1666. Blanche is one of the few ladies of the 14th century of whom we have several descriptions. The Chronicler Froissart noted that she was “jone et jolie” – young and pretty. 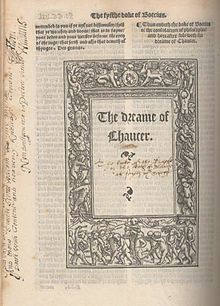 The best description, however, is from Geoffrey Chaucer, Katherine Swynford’s brother-in-law, who was commissioned by John of Gaunt to write The Book of the Duchess, also known as The Deth of Blaunche. The poem is said to depict Gaunt’s mourning for his wife, in the tale of a Knight grieving for his lost love. Chaucer describes Blanche’s neck (yes, her neck) as “whyt, smothe, streght and flat. Naming the heroine “White”, he goes on to say she is “rody, fresh and lyvely hewed”. Blanche (White) was “bothe fair and bright” and Nature’s “cheef patron of beautee”. Despite his marrying Constance of Castile just 2 years later, and his eventual marriage to his mistress, Katherine Swynford, being singled out as one of the great love affairs of the age, it was said that Blanche was the love of his life. 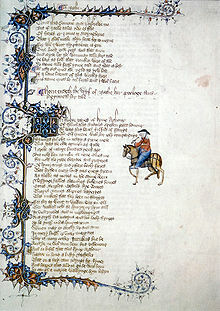 Chaucer’s poem and the lavish tomb and commemorations are said to highlight Gaunt’s love for his 1st wife; the fact he was eventually buried beside her has been seen, by many, as the final proof of this love. Footnote: ¹Red Roses: From Blanche of Gaunt to Margaret Beaufort by Amy Licence. 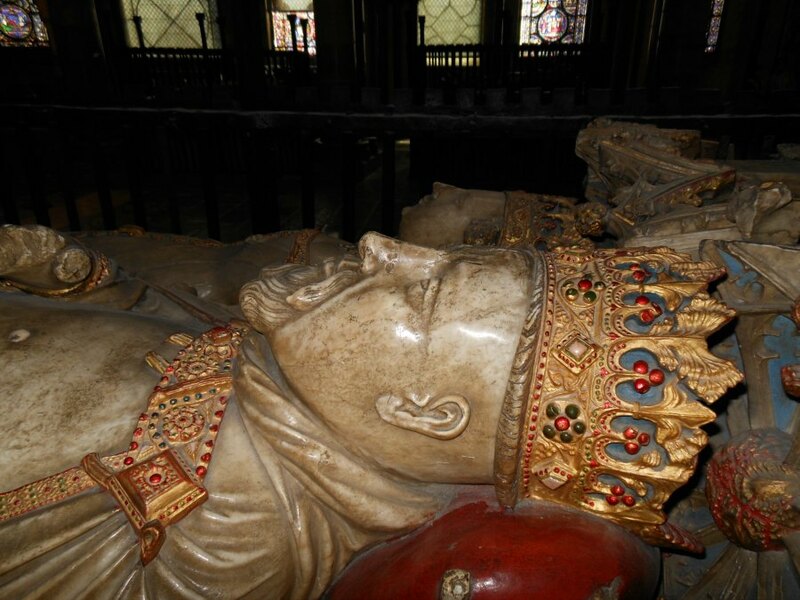 Photograph of the tomb of Henry IV and Joanna of Navarre are © Sharon Bennett Connolly, 2015. All other pictures are courtesy of Wikipedia. Sources: Brewer’s British Royalty by David Williamson; Red Roses: From Blanche of Gaunt to Margaret Beaufort by Amy Licence; History Today Companion to British History Edited by Juliet Gardiner & Neil Wenborn; The mammoth Book of British kings & Queen by Mike Ashley; Britain’s Royal Families, the Complete Genealogy by Alison Weir; The Life and Times of Edward III by paul Johnson; The Perfect King, the Life of Edward III by Ian Mortimer; Chronicles of the Age of Chivalry Edited by Elizabeth Hallam; unofficialroyalty.com; katherineswynfordsociety.org.uk; The Reign of Edward III by WM Ormrod; The Plantagenets, the kings Who Made Britain by Dan Jones; englishmonarchs.co.uk; oxforddnb.com. Katherine and her older sister, Philippa, were eventually given positions as ladies-in-waiting to members of the royal family. Philippa joined the household of Elizabeth de Burgh, wife of Lionel of Antwerp, where she met her future husband, the literary giant of the age, Geoffrey Chaucer. By 1365 Katherine was serving in the household of Blanche, Duchess of Lancaster, and her husband John of Gaunt, 3rd surviving son of Edward III and Philippa of Lancaster. 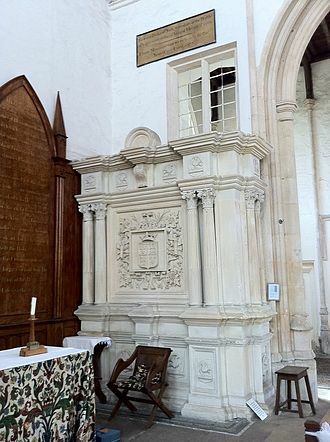 Sometime before 1367 Katherine married a Lincolnshire knight, Sir Hugh Swynford of Coleby and Kettlethorpe, at St Clement Danes Church on the Strand, London. 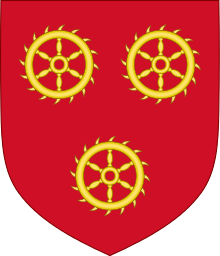 They had at least 2 children, Thomas and Blanche; John of Gaunt was Blanche’s godfather. 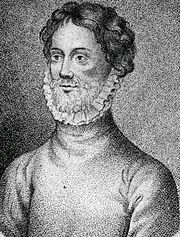 Sir Hugh was a tenant of John of Gaunt’s and accompanied him to Europe in 1366 and 1370. In 1368 in order to avoid the plague, Blanche moved her family to Bolingbroke in the Lincolnshire countryside. She died in childbirth in September the same year. However, rather than leaving the household on Blanche’s death, Katherine was appointed governess to the 2 daughters of Gaunt and the late Duchess, Philippa and Elizabeth. Katherine’s husband, Sir Hugh, died in 1371 and shortly afterwards rumours started arising of a relationship between John of Gaunt and the young widow. Whether the affair started before Sir Hugh’s death is uncertain and some sources suggest this was the case. Although John married his 2nd wife, Constance of Castile, on 21st September 1371. John and Constance’s marriage was a dynastic one; John was hoping to gain a kingdom for himself, through his wife. From January 1372 John assumed the title King of Castile and Leon, by right of his wife, although he was never able to consolidate his position. John’s younger brother, Edmund, would marry Constance’s sister, Isabella. Constance gave birth to a daughter, Catherine, in 1373 and a son, John in 1374 – he died the following year. 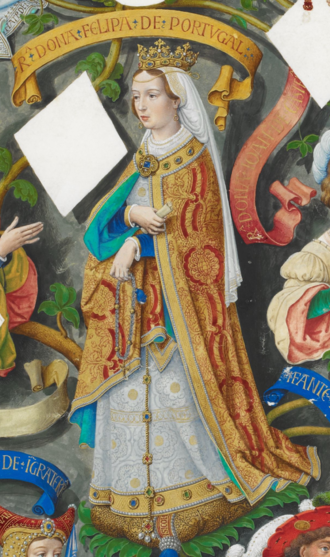 Catherine would marry Henry III of Castile, becoming Queen Consort of Castile and Leon and thus fulfilling her father’s ambition of his descendants sitting on the throne of Castile. By 1372 Katherine’s status within Gaunt’s household had risen, indicating their developing relationship. While continuing in her post of governess to Philippa and Elizabeth, Katherine bore 4 children between 1373 and 1379, acknowledged by John of Gaunt as his own; John, Henry, Thomas and Joan. They were given the surname of Beaufort, probably after their father’s lost French lordship in Anjou. I could find no record of Constance’s – or Katherine’s – reactions to Gaunt’s living arrangements. It’s hard to imagine that either was completely happy with the situation, but Gaunt does appear to have fulfilled his obligations to both women. There is some record that John of Gaunt formally renounced his relationship with Katherine and reconciled with his wife in June 1381, possible as a way to recover some popularity during the Peasant’s Revolt. The revolt blamed 13-year-old King Richard II’s counsellors as the cause of the country’s problems. 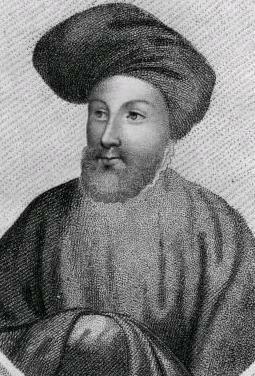 John of Gaunt was one of the main targets for the rebels’ anger and his Savoy Palace on the Strand was burned to the ground, despite Gaunt’s absence from the centre of proceedings; he was on his way to Scotland at the time. Katherine left court and settled at her late husband’s manor at Kettlethorpe, before moving to a rented townhouse in Lincoln. John of Gaunt visited her regularly throughout the 1380s, and Katherine was frequently at court. With 4 children by John of Gaunt but still only, officially, governess to his daughters, Katherine was made a Lady of the Garter in 1388. However, her situation changed again following Constance’s death at the end of 1394. At Lincoln Cathedral, in January 1396 and a quarter of a century after the start of their relationship, John of Gaunt and Katherine Swynford were married. Styled Lady Katherine, Duchess of Lancaster, she was, briefly, the 1st Lady in England after the death of Queen Anne of Bohemia. Once they were married John of Gaunt wasted no time in legitimising his children by Katherine. 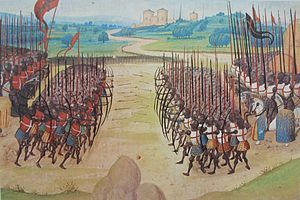 They were legitimated by the Pope on 1st September 1396, and by Charter of Richard II on 9th February 1397. A further Charter in the reign of Henry IV also excluded the Beauforts from the succession. 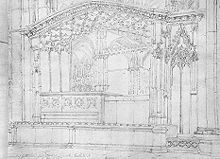 Their final happiness was of short duration, however, as John of Gaunt died on the 3rd of February 1399; he was buried beside his 1st wife, Blanche of Lancaster, in St Paul’s Cathedral, London. His son and heir, Henry Bolingbroke, had recently been exiled to the Continent for 10 years. Richard II extended that exile to a life term and confiscated the Lancastrian lands. 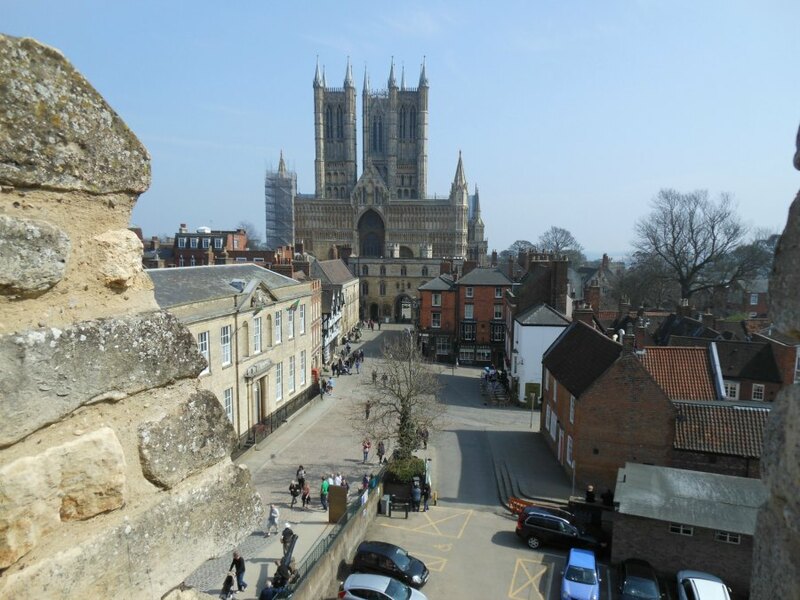 Following Gaunt’s Katherine returned to her townhouse in Lincoln; close to the east end of the Cathedral. Her son, Henry Beaufort, had become Bishop of Lincoln shortly after being legitimised. Katherine died at Lincoln on 10th May 1403. She was buried, close to the High Altar, in the cathedral in which she had married her prince just 7 years earlier. 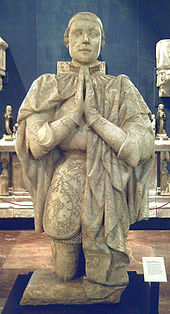 Her daughter Joan, Countess of Westmoreland, was laid to rest beside her, following her death in 1440, with a slightly smaller tomb. The tombs themselves are empty, with Katherine and Joan buried beneath the floor of the Cathedral. Katherine appears to have had a good relationship with John of Gaunt’s children; she was very close to Philippa and Elizabeth. Henry IV, Katherine’s stepson, referred to her in her widowhood as ‘The King’s Mother’. And together, through their children Katherine and John left a legacy that would change the course of English and Scottish history. Henry Beaufort would rise to the position of Bishop of Winchester and Cardinal. Thomas would rise to become Duke of Exeter and serve on the council of his great-nephew, Henry VI. 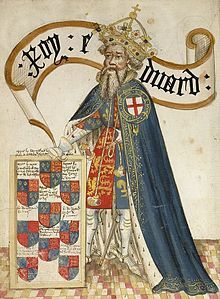 Less impressively, their grandson Edmund (son of John, Earl of Somerset) was responsible for great losses of territory whilst Regent of France for young Henry VI. 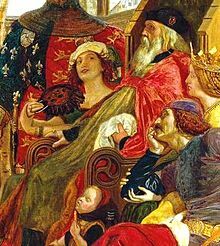 Katherine and John’s daughter, Joan, was the mother of Cecily Neville, Duchess of York, who would be the mother of 2 kings of England; Edward IV and Richard III. 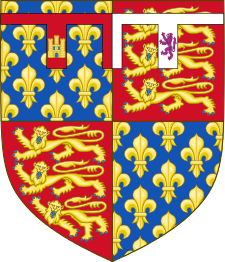 Their son John, Earl of Somerset, was grandfather of Margaret Beaufort and great-grandfather of the 1st Tudor King, Henry VII. John’s daughter, Joan Beaufort, married James I of Scotland in another of history’s great love stories. Photographs of Lincoln and Katherine Swynford’s tomb are © Sharon Bennett Connolly, 2015. All other pictures are courtesy of Wikipedia. Sources: katherineswynfordsociety.org.uk; Brewer’s British Royalty by David Williamson; History Today Companion to British History Edited by Juliet Gardiner & Neil Wenborn; The mammoth Book of British kings & Queen by Mike Ashley; Britain’s Royal Families, the Complete Genealogy by Alison Weir; The Life and Times of Edward III by paul Johnson; The Perfect King, the Life of Edward III by Ian Mortimer; The Reign of Edward III by WM Ormrod; Chronicles of the Age of Chivalry Edited by Elizabeth Hallam; womenshistory.about.com/od/medrenqueens/a/Katherine-Swynford.